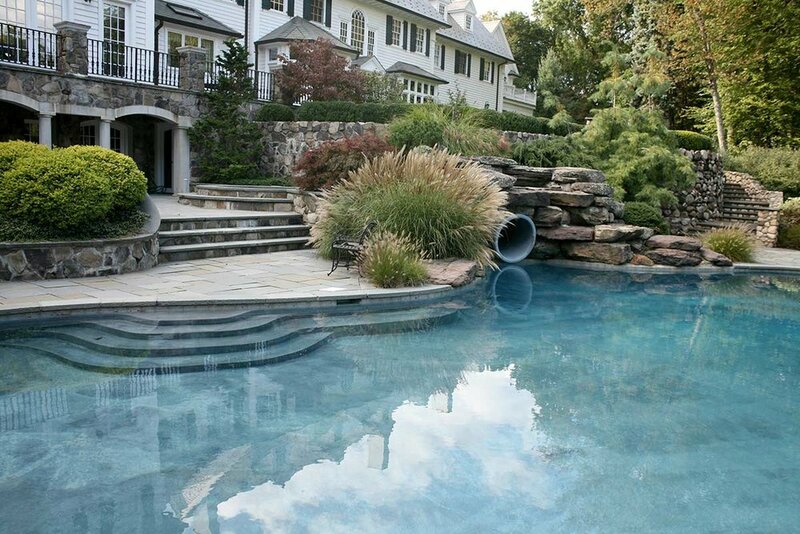 Make your backyard your personal oasis with a pool or spa. Your backyard has never been so relaxing. The experts at Magic Landscaping can help you plan and install your COMPLETE project from start through completion. Make your home your vacation home and enjoy it everyday. The experts at Magic Landscaping will help you design, plan and install your COMPLETE project from start through completion. A complimentary one hour consultation will start the process guiding you step by step towards your own personal resort. The experts at Magic Landscaping have been installing beautiful custom backyard resorts for over 35 years. If you are looking for a reliable, creative, and trustworthy landscaping company that can handle all of your landscaping needs, you need not look any farther. Our installations are flawless; it is our goal to create not only a beautiful and lasting result, but also a truly satisfied client. We do that by providing exceptional customer service, quality products and flawless implementation. Read our outstanding reviews from people just like you. Our client testimonials speak volumes to the integrity of our work. Let professionalism, quality and craftsmanship guide you in selecting the most qualified contractor for your landscaping project.